Scenic Vista is currently full. We are always taking names for our waitlist. This property serves only persons 55 or older. We do have disabled unit set asides, but those applicants must also be 55 or older. Our property does not offer direct subsidy. 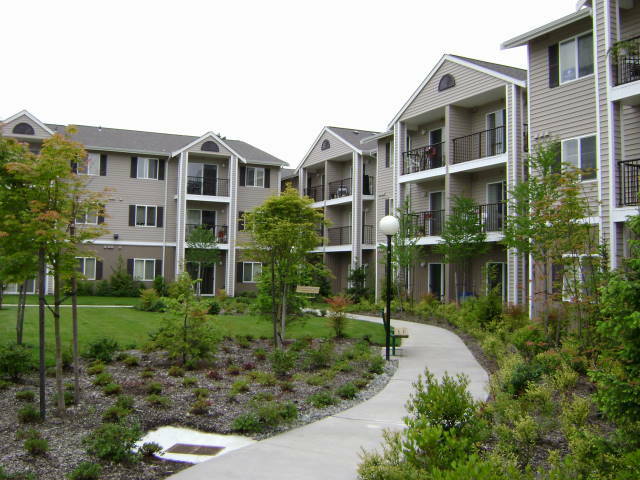 We do offer affordable, income restricted rents through the Washington State Housing Finance Tax Credit program for seniors (55+). We also accept Housing Authority provided Section 8 vouchers. We are a non-smoking property for Seniors 55+. Amenities include a large social room with an adjoining courtyard, Activities Room, Exercise Room, Beauty Shop, Game Room, Computer Center, TV/Theater/Media Room, Sewing center equipped with sewing machines, outdoor gardening area and a Private dining room for those special dinners with friends and family. Paved walking paths are located throughout our property. Scenic Vista is located on a bus line and shopping is within walking distance! . Income Limit Details: Must be below Washington State Housing Finance 50% and 60% Tax Credit income limits. Background/Screening fees are 40.00 per single adult. ​53.00 per married couple. Come see our beautiful One and Two bedroom apartments! Although we do not offer direct subsidy we do accept Section 8 vouchers. Our property requires all applicants' income and assets be verified before move-in. Credit, criminal and background checks are also required before approved move-in at a charge of $40.00 per person and $53.00 for a married couple, (check or money order only). Please call for further details!